When it comes to choosing the right stone for your vanity, fireplace, countertops, or steps, we make sure to provide you with every option available on the market. 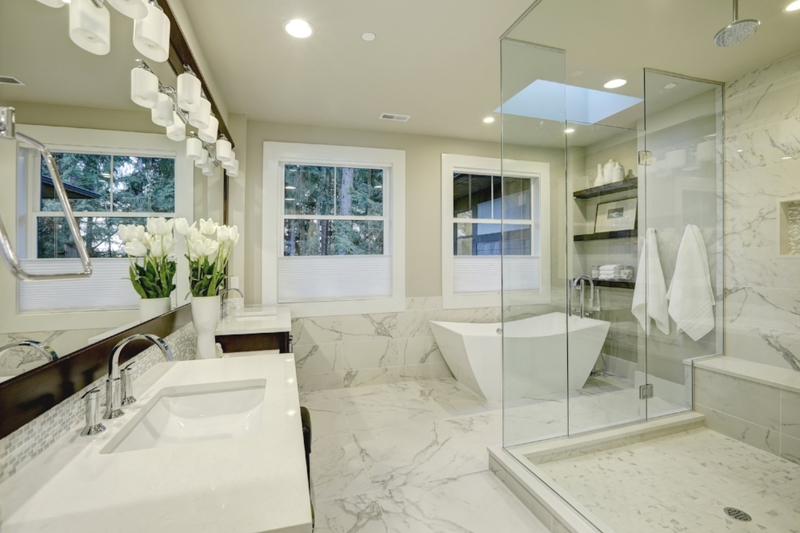 We specialize in granite, marble, travertine, limestone, soapstone, and quartz, and will help you decide on the best one for your space. Our goal is to make the selection process an easy and pleasant one. Find the color and style you're looking for amongst our many high quality suppliers. Schedule an appointment for our expert technicians. Using the most up to date laser templating technology, we can bring the most precise measurements in quickly timely fashion. Then our talented team of fabricators offer detail-oriented work ethic and craftsmanship that is second to none. They take pride in their work and do their best to make the biggest piece possible, so you don't have visible seams. We can also fabricate standard and more detailed custom edges. We offer an assortment of edges of all shapes and sizes. Quick & Reliable! Once your installation is booked, we'll take it from there! Our professionals, will install your new stone in no time!